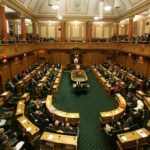 John Key’s comment that the “TPP is not a gay and lesbian issue” shows the Prime Minister’s ignorance when it comes to LGBTQI issues, the Green Party said today. 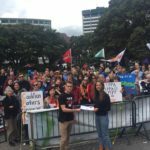 The Prime Minister made the comment after people at Auckland’s Big Gay Out on Sunday challenged the Government’s support for the TPPA, regardless of its negative impacts on all New Zealanders, including those from the LGBTQI community. 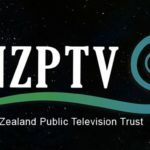 “John Key is wrong – the TPPA is an LGBTQI issue, as it’s an issue for all New Zealanders,” said Green Party rainbow issues spokesperson Kevin Hague. “John Key has admitted that the TPPA will mean higher prices for medicines and reduced access to cutting-edge, top-of-the-line drugs. This will affect people living with HIV/AIDS and all other New Zealanders. “Those of us in the LGBTQI community also know how important it is to be empowered to control our own lives – the TPPA rankles with us because it takes away our country’s sovereignty and hands it over to foreign corporate interests. “Dismissing concerns about the TPPA as irrelevant to the LGBTQI community shows how out of touch John Key is. Turning up to the Big Gay Out in a pink shirt doesn’t make you a true LGBTQI ally – it just makes you a guy in a pink shirt,” said Mr Hague.